mobileWOMEN.org: Beauty solutions to Make a mobileWOMAN’s Life Easier! Beauty solutions to Make a mobileWOMAN’s Life Easier! Let’s face it, to say that getting ready in the morning can be time-consuming, is a colossal understatement! For some of us, we could've had an entirely other career in the time it takes for our medical care, showering and getting dressed! Often our morning beauty regime gets cut short and it doesn't allow us to spend the time on ourselves that we would have liked. For this very reason, we have compiled a few long-lasting beauty solutions to make your life easier so you have more time to get out there and do all the amazing things that you do! Shaving, waxing, tweezing, plucking - ugh! It never ends! Just when one area is taken care of, another one sprouts up again. It is especially difficult for those with limited hand function to rely on others for hair removal (and at times, dangerous!). With warmer weather around the corner, there’s no hiding under those multi layers of clothing. Fortunately, there are some permanent solutions available. Note: Make certain that you consult a licensed professional that has experience in the procedure that you are interested in. 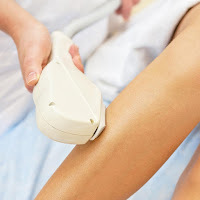 Laser hair removal can be used in most areas such as underarms, bikini, arms, face and legs.The hair grows in cycles so it takes a series of treatments to be effective. Laser technology works by targeting dark pigment, therefore, it works best on pale skin and dark coarse hair. The lighter the skin and the darker and more coarse the hair, the better are the results. Unfortunately, it does not work for everyone so make certain to schedule a consultation first before spending any money. The cost can be expensive; but if you look at the big picture, it's worth it in the long run. Often you can find beauty services, such as laser removal, on Groupon and get substantial discounts. It's important however, to make certain that wherever you choose, is reputable, established and has good reviews. 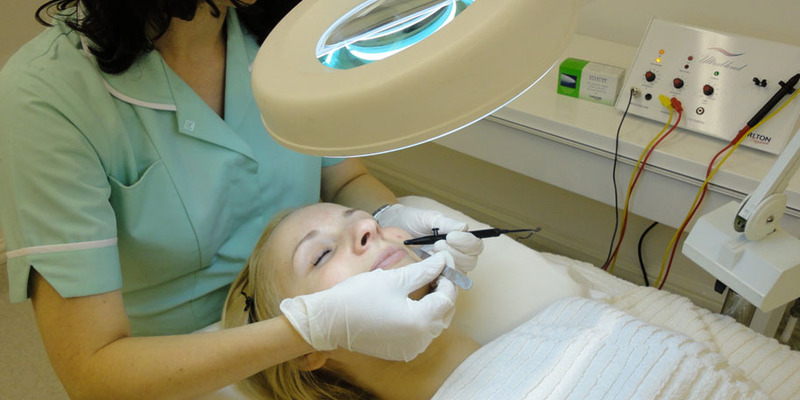 Electrolysis is a method of removing individual hairs from the face or body. Electrolysis uses a tiny needle to deliver a shortwave radio frequency to the hair follicle to destroy it; then the hair is removed with tweezers. Unlike the laser, it can be used on all hair and skin colors, including white or blonde, fine textures and on facial hair. Most areas of the body can be treated with electrolysis, including the eyebrows. Many factors influence hair growth, so several electrolysis visits are necessary. The total number of sessions needed to remove hair permanently from a particular area will vary from person to person. Most return once a week or every other week as needed but the good news is, the unwanted hair will be gone forever once the series of treatments is complete. Each treatment lasts between 15 minutes to one hour. Be sure to ask the electrologist about his/her certification and license to reduce the risk for infection and scarring. 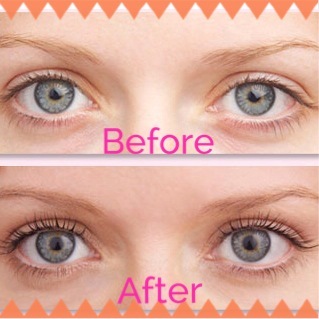 Eyelash tinting is a process of dying eyelashes with vegetable dye to make them darker and more prominent. Lashes are dyed a variety of dark colors including black, brown, or even blue depending on what best fits a person's complexion. Typically, the esthetician will coat the surrounding area with a petroleum based product and/or place pads below the eye, to prevent the dye from getting onto your skin. Then with closed eyes, the dye is painted on the lashes. After 10 minutes, the technician will carefully remove the excess dye and gel, which can sting temporarily. The result is quite striking and the price is fairly affordable, starting at about $15. The results can last approximately 4 weeks depending on sun exposure etc. It is an excellent alternative to mascara, which is difficult to apply with limited dexterity and can smudge or run, especially in humidity. 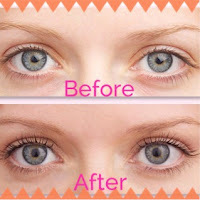 Eyelash tinting can be hazardous to the eye if not done properly, so be certain to have it done by a trained professional. Permanent makeup, also known as micropigmentation or cosmetic tattooing, can eliminate the daily hassle of applying makeup. It never smears, and is great for people with allergies to traditional cosmetics as well as for those who have a difficult time applying makeup. Permanent lip, eye, and eyebrow makeup are the most common; however, cosmetic tattooing can also be used to camouflage scars on any part of the body. It’s extremely important to thoroughly research to find an experienced technician and it’s ideal, if you get a referral from a friend. Don’t be afraid to ask questions and request to see “before and after” photos. If you do decide to move forward, try something subtle first. To produce the desired results, permanent makeup usually requires one or more touch-up procedures after initial application. For this reason, most technicians include the price of a touch-up procedure in the price of the application. Initial permanent makeup application typically takes one to two-and-a-half hours to complete.Prices vary depending on the amount, area and detail. Over time, the tattoo will gradually fade so touch-ups are necessary, usually at a reduced cost.